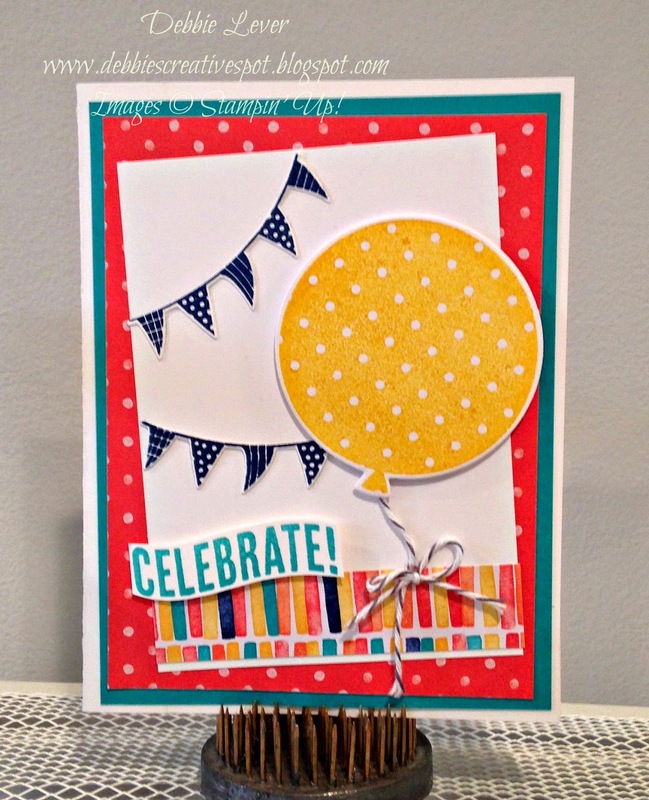 A fun card I created using the Celebrate Today stamp set and coordinating Balloon Framelits Dies. Using the dies makes it a breeze to cut out the balloon and banner after they are stamped! Stampin' Up! makes it so easy to put together projects with their coordinating products. I stamped the balloon on a piece of Irresistibly Yours Specialty Designer Series Paper found in the Sale-A-Bration Flyer. This white paper has a glossy white pattern and after stamping on it, or coloring it in, it reveals the pattern. I choose the polka dot pattern to coordinate with the polka dot piece that is layered on my card. That paper is from the Birthday Bash Designer Series Paper pack. With the polka dots on the cute little banner as well, it all ties together to make an adorable card to give to someone who is celebrating!